China continues to exercise its soft power to sanction celebrities from Hong Kong who are pro-democracy. On Sunday, global cosmetics firm Lancôme cancelled a mini concert in Hong Kong after Chinese state-run nationalist newspaper Global Times suggested on social media that the brand supported “pro-Hong Kong and Tibet independence artist” Denise Ho by inviting her to promotional activities. Denise Ho is a Hong Kong-based pop singer and an outspoken supporter of the city’s LGBT community and pro-democracy movement. She backed the 3-month-long Occupy Central protests in 2014, which called for genuine democratic elections in Hong Kong, a special administrative region of China with a high degree of autonomy. Because of that, she was banned from making appearances in Mainland China alongside other celebrities, including pop singer Anthony Wong Yui Ming and movie stars Chapman To and Anthony Wong Chau Sang. 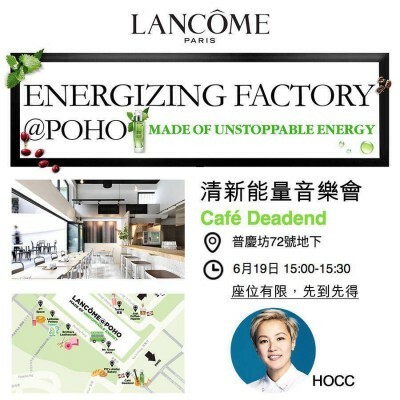 Lancôme and Listerine’s work with pro-Hong Kong and Tibet independence artist exposed? Netizens reveal that popular mouthwash brand Listerine and cosmetic brand Lancôme have invited pro-Hong Kong and Tibet independence artist Denise Ho as their spokesperson. What do you think of this? Ho has never expressed support for independence for either Hong Kong or Tibet, an autonomous region of China that is the focus of a worldwide Free Tibet movement. In its message, Global Times used the word du (毒), which means toxic, instead of du (獨), which means independence, as a way to further mislead mainland netizens on the Cantonese pop singer’s politics. The two words are distinctive in meaning, but sometimes are interchangeable. The post was removed after Lancôme issued a statement clarifying that Ho is not their spokesperson. However, the statement did not stop mainland netizens from bombarding the brand. Tens of thousands comments flooded in, calling for a boycott. Freedom, justice, and equality have always been values pursued by Hong Kongers. If we are punished without any reason for upholding our values, this is no longer just about me. It is a serious distortion of our world values. Lancôme is an international brand, and when an international brand has to kneel before this type of suppression, we must address the problem in a serious manner. Lancôme staff members and clients are not isolated from each other, and we have both been victimized by unreasonable tyranny. Some choose to submit to authority, some choose to stand against it. Every choice will affect society as a whole. When a company, out of commercial considerations, decides to practice excessive self-censorship, that also generates fear in the community and encourages tyranny’s unreasonable behavior. Do we really want to live in this kind of society? Corporations should have moral responsibility when pursuing commercial interests. Once you give in to tyranny, the moral baseline will keep retreating. This company probably has no idea about what Denise Ho has done before. It does not even care if she has a conscience. Soon after it read Global Times’ comment, it viewed Denise Ho as a “negative factor” for its business in China and cuts ties with her. In the business world, numbers are the only moral concern and the interests of stockholders justify the behavior. Corporate social responsibility is just a marketing strategy. The combination of the China factor and commercial logic has direct impact on Hong Kong’s freedom of expression and creation. Artists have to be careful so that they don’t become a “negative factor” for their potential clients’ business in China. They have to avoid producing, singing or acting sensitive works or contacting sensitive persons because they know that big brother is watching. So many people are ready to “report” [to the mainland Chinese authorities on artists’ conduct]. However, not all businesses are bowing before the People’s Republic of China. Listerine’s parent company Johnson & Johnson, has thus far ignored Global Times’ post and continued with Ho as their official spokesperson. In fact, Listerine references her coming out as a lesbian back in 2012, and uses the slogan “bold love, bold expression” for its branding. Listerine, you are great. I appreciate you. In our day and age, freedom is not a given, righteousness is not a given, being true to oneself is not a given. A product is not just a product, it carries meaning which is valued by Hong Kongers. We have to defend it. This article by Oiwan Lam originally appeared on Global Voices.